The Glenn Law Firm offer their help and guidance by way of a Free Consultation to assess Your Rights And The Rights Of The Victim. If an entity or person causes the death of another, be it intentionally or as the result of negligence, the person who caused the loss may be liable for it under a wrongful death claim and may owe for any resultant financial losses to the victim’s estate. The most common scenario involves a representative of the victim’s estate filing suit and any recovery being placed in the estate to be distributed according to terms of the will or through lawful means. If you are the named or agreed-upon executor of the estate of loved one who is a victim of wrongful death, the attorneys at The Glenn Law Firm extend their sympathies and invite you to call for a free consultation regarding the rights of the victim and any action needing to be taken against the negligent party. Pecuniary loss is a legal term referring to money and is synonymous with “monetary loss.” In a wrongful death case, the defendant could be held liable for pecuniary losses that are suffered by the victim’s family as a result of the death. These damages may include (but are not limited to) medical bills, funeral expenses, lost wages, child support, family care expenses and any other monetary support the deceased would have still been able to provide for the foreseeable future. These damages are most often limited to immediate family, usually spouses and children, but occasionally including parents as well. If you have lost a parent or spouse through wrongful death, you need a lawyer that will fight hard for you and ensure that you maintain your standard of living. The attorneys at the Glenn Law Firm will fight for your rights and minimize or eliminate pecuniary losses resultant of someone else’s negligence. 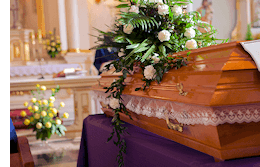 In some cases, recovering significant damages due to wrongful death can be difficult. In the case of young children especially, calculating real damages is difficult owing to a lack of data regarding earnings or financial support that would eventually have gone to the family. The same holds true for the elderly and absent parents who do not pay child support. In these instances, you need a law firm that will aggressively pursue punitive damages to compensate for the losses associated with these circumstances. The Glenn Law Firm will work tirelessly to mount a case of wrongful death on behalf of parents who lose their children and adults who lose their parents as a result of other people’s negligence. They will strive to recover any and all punitive damages allowed by law for you. Call today to set up a free consultation and start on the road to recovering real compensation for your loss. and pain and suffering are rarely factored into a wrongful death settlement or judgment. For the most part, only real losses are considered when calculating the settlement. However, if the death is witnessed by a close family member, especially a child, the resultant emotional distress could be grounds for recovering damages of this type. If a member of your family witnessed the events leading up to and including the wrongful death of their loved one, the Glenn Law Firm can advise you on how to recover damages for the emotional distress such a traumatic event can cause. Call us and let us help you understand your rights. Wrongful death and personal injury law are not interchangeable which is why recovering damages for the pain and suffering of the victim is usually not part of the process of a wrongful death suit. However, damages related to pain and suffering can be claimed through a personal injury suit. The Glenn Law Firm can certainly work with you to pursue any and all claims related to the death of a loved one and sort out the details according to their relevance to each case. They will then move forward on your behalf and recover all allowable damages. Wrongful death and criminal homicide are separate cases under terms of the law. A wrongful death case is a civil action, meaning that it is initiated by an individual or group of individuals. The purpose is to recover monetary damages as described above. A criminal homicide case seeks to exact punishment in the form of incarceration and/or capital punishment for the crime of murder and results from charges brought by the state or local government. It is important to realize that even if a defendant is found not guilty in a criminal trial, they may still be held accountable on a civil level. The Glenn Law Firm will examine all the facts and determine if a case for wrongful death exists, regardless of the outcome of a criminal trial, and will recover any damages the law permits. Get a Free Consultation today. There Is Hope — Call Us NowHave you been injured in a serious accident caused by the negligence or wrongdoing of another? Your situation may seem dire, but there is hope. An experienced personal injury lawyer can help you turn things around. If you’re in the process of looking for Dallas Texas Wrongful Death Lawyers, call us at 817-424-5999 or contact us online to arrange a free consultation. We bill on a contingent fee basis. In other words: no recovery, no fee.